You love fitness. You love teaching Martial Arts. But how do you start a martial arts program without going entirely into debt? 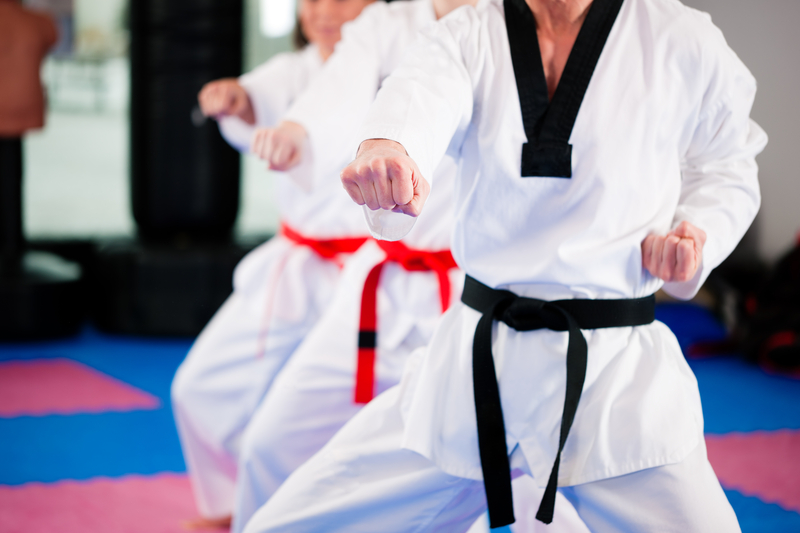 Depending on where you are located, having a physical location that belongs solely to your Martial Arts program may be too cost prohibitive starting out. We spoke to Professor Austin, founder of the International Black Belt Academy and President of the United Martial Arts Alliance International about his early experiences and he shared some ideas that might work for you and your program as well. “Initially, I decided to start my own school as a club on my off-hours,” says Professor Austin. He began his program in 1985 while he was in college, choosing to teach fellow college students in one of the classrooms at the university. Starting his program part-time enabled him to gradually build his student base, while completing his college education and beginning his career. Professor Austin eventually took over the facilities at a Parks and Recreation program. This was a great way to keep costs down and expand his pool of potential students. He recommends considering a model where you rent space in a facility like a gym, Parks and Recreation department, community school or church building when you first start your program. When Professor Austin was teaching at the Parks and Recreation facility, they placed his group in an area where other patrons would run right through his class during their afternoon class. Make sure the facility you work with respects your class needs and schedules space to allow sole use of the area without interruptions. Also, make sure the program is your own and can be branded with your own school name. When Professor Austin started out he understood university students may not have the finances to pay much, but this opportunity helped him grow as an instructor. He found he loved teaching. As he grew and planned to expand to his own location, he realized that he needed to calculate a price increase to cover rent. He recommends that you set realistic rates for your school programs from the beginning, when possible. Compare rates in the area, consider the value of your offering and set your fees high enough to be able to make a living, while being competitive and in line with your chosen demographic. Don’t undersell your services or try to be the cheapest. If you don’t make a living, you won’t be in business for long. If you don’t want to charge much, don’t rent a physical location. Factor in the risk that some students may not pay on time or may default on their contract entirely. Though you hope this doesn’t happen and your students are great, this is the risk of running your own program that should not be ignored, but planned for. Consider software that allows students to be on autopay and using a professional billing company to assist you in the collection of your fees. Don’t try to be both Sensei and bill collector. Do what you enjoy and let professionals handle your billing. Starting out by renting space in other facilities and building his student base enabled Professor Austin to plan financially for renting his own location in an area that continued to increase his growth. Those humble beginnings have grown to multiple schools, an International Martial Arts organization and teaching students around the US, UK and Europe. It takes some patience, strategy, determination and good timing, but done correctly, Martial Arts can provide and amazing and very profitable career. Let AAC manage your billing and tuition collection concerns, while you focus on being Sensei. Call 800-233-8483 or contact us online to learn more today.